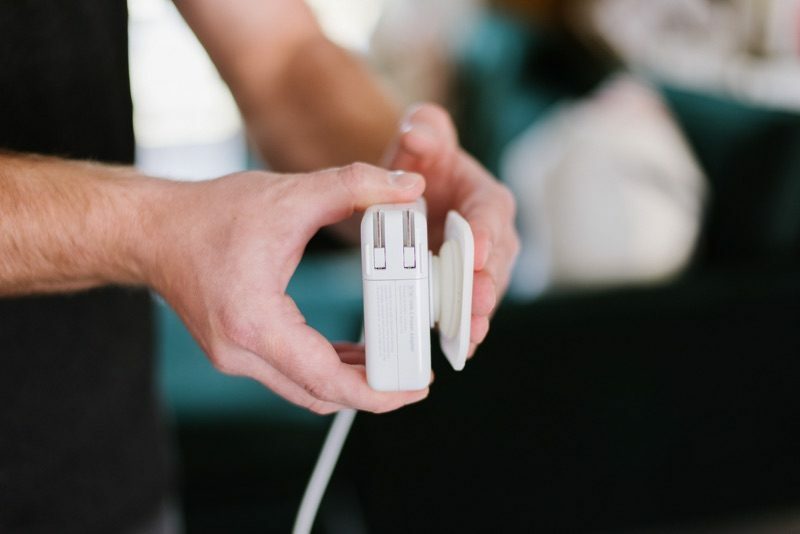 Fuse, the company that came up with the Side Winder cable organizer for wrangling the extension cord of a MacBook, is today out with its newest product, the Side Kick, which can be pre-ordered via Kickstarter. 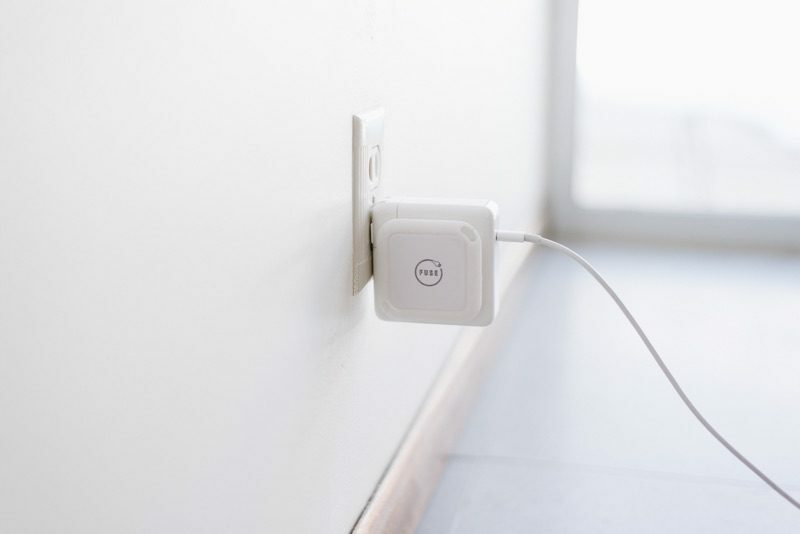 The Side Kick is designed for the MacBook Pro's USB-C power adapter and is for those users who don't need or want the extension cable. It's able to wind up the USB-C cable in a useful way that's perfect for when you need to travel with your MacBook Pro. We normally shy away from promoting crowdfunded products on MacRumors, but Fuse has a track record of creating Mac products and was able to send me a prototype to test out ahead of time. The prototype version of the Side Kick is similar to the Pop Sockets designed for the iPhone. 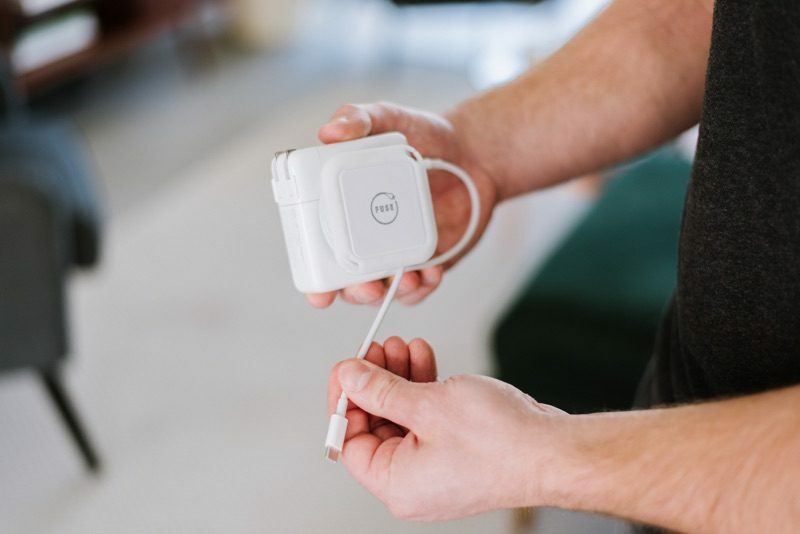 It has a collapsible base that sticks onto the side of the MacBook Pro charger, which, when you pull it out, extends so that you can wrap up your entire USB-C cable neatly. Both the adhesive that sticks to the Side Kick and the popping mechanism work well even on this early version that I have, so Fuse seems well on the way to a completed product. Size wise, the Side Kick does take up most of the space on the MacBook Pro power adapter, so it may interfere with some other products that use the extension portion of the charger. It's also designed solely for the USB-C cable -- if you use an extended cable (which no longer ships with the MacBook Pro) you'll need the Side Winder instead. 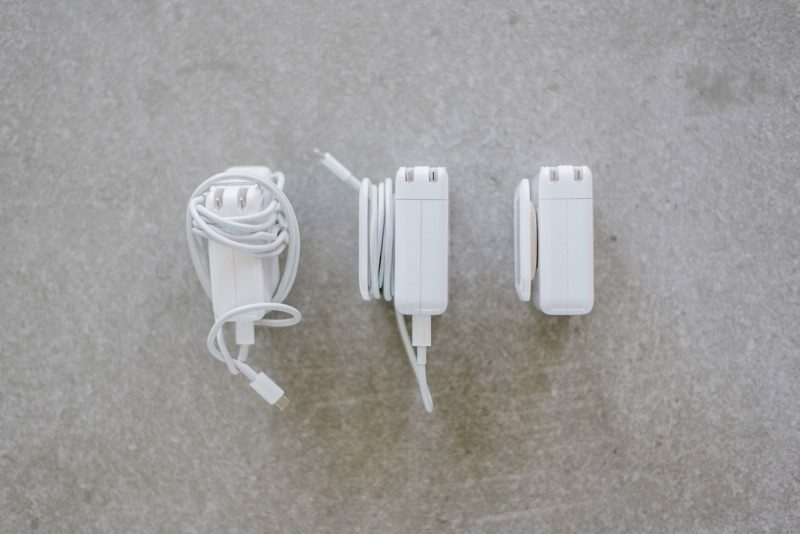 The cable wraps around neatly with the Side Kick extended, and it adds about an inch of additional real estate to the power adapter on the right side. When popped in without the cable wrapped, it's not too bulky, but it would be nice to see it slimmed down a bit more. There are two cable catches at the end so you can keep the USB-C connector in place once it's wound up. I was still able to use my power adapter as normal with the Side Kick attached, and it fit well both in a standard outlet and a power strip with no serious hindrance. The Side Kick will work well for people who use just the plain USB-C cable with their standard MacBook Pro power adapters. It is limited to the USB-C 61 and 85/87W power adapters for the 13 and 15-inch MacBook Pro models right now because of size constraints. Fuse says that it's working on a version for the MacBook and MacBook Air, which will come out in the future. My prototype version of the Side Kick is unfinished and isn't the best looking accessory at this point in time, but Fuse tells me that the final product will include sturdier cable notches, a whiter finish for the rim and socket, and an embossed logo for an all-around nicer design. 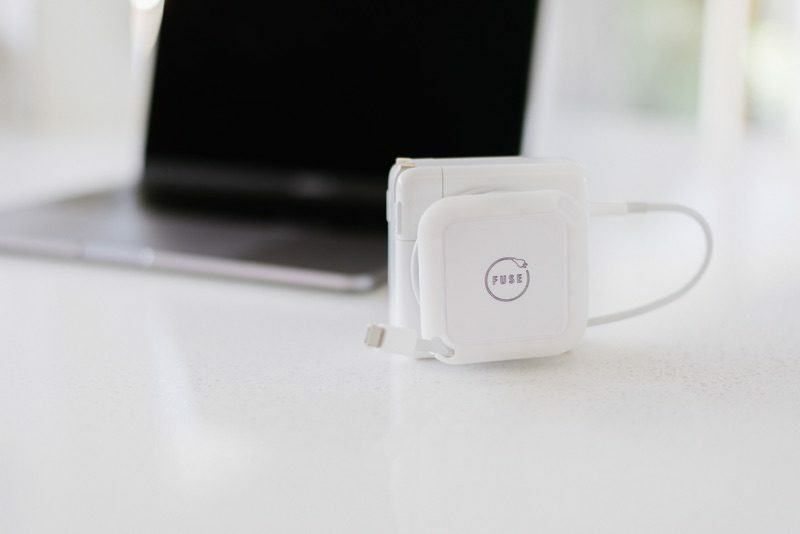 Fuse is using Kickstarter to fund the Side Kick, and the first few hundred backers will be able to order it at a 40 percent discount. A single Side Kick is available for $12, while two are available for $20. After the early bird pricing is gone, the Side Kick will be priced at $15 for one or $26 for two. Did apple remove the two flaps that used to be on the charger for this...? Remember Magsafe? Remember the little fold out tabs on the power block to wrap your cables? Remember the clever battery light indicators blended in to the unibody? No? Neither does Apple, but hey, Touch Bar! I adamantly can't stand pop sockets... but this is cool. Agreed. Apple used to have all those "little details" that were nice touches. Instead we have emoji touchbar, keyboards with no key travel, and a singular type of port that requires dongles. It never ceases to amaze me how many people prowl Mac forums for the sole purpose of bashing those who somehow still find value in their products. It’s not bashing Apple or those that still enjoy their products. They are legitimate points and facts that Apple has removed many useful features with no real thought to how it impacts the end user. It’s the old “our way or no way” Apple attitude. Which used to work because of the extra nuance and features that Apple had that weren’t found in other brands (looking at you Mag Safe). I am hoping my 2013 MB Pro lasts forever. No dongles and all the features I appreciate. I think a velcro fastener cable tie is the way to go.